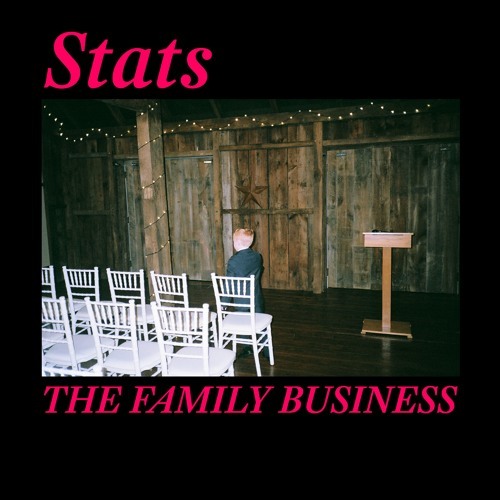 London-based band Stats have just unveiled their brand new single The Family Business, taken from their upcoming debut EP, Other People's Lives, set to arrive on February 15th via Memphis Industries. The Family Business is a synth-heavy pop track with infectious melodies and lyrics about the strain and breakdown of family ties. There's a retro vibe in this song that takes me to 80's golden era of synth-pop but it still maintains a modern, fresh approach to this genre. The song is packed with smooth vocals and groovy melodies that will get you dancing in no time. Check it out below! Families tell stories about themselves just like individual people do, and sometimes when those stories can't hold any more, you get arguments and fights that are vicious in a way that only families can be. It's horrifying but can also be weirdly liberating - at least it forces you to be real with each other. How well do you know these people you call family anyway? They’ve always been around, but you don’t think about them like you would anyone else - sometimes you're crueller, sometimes you're kinder, but they're not like any other relationships you have. Put yourself on any side of it, just try to understand.